1. People looking to get a loan and wanting to calculate their monthly payment. 2. 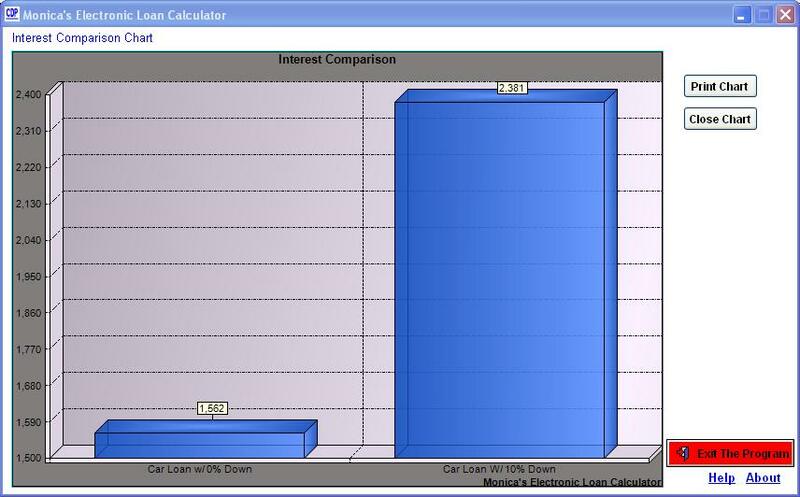 People wanting to compare different loan scenarios. 3. People wanting to calculate their monthly income and expenses. All of us at one time or another find ourselves needing to borrow money. This can be to purchase a home or automobile, refinance a current loan, finance that college education, or for many other purposes in life. With all the loan offers out there, it is important for us to get a rough idea if an offer is truly beneficial or not for us. 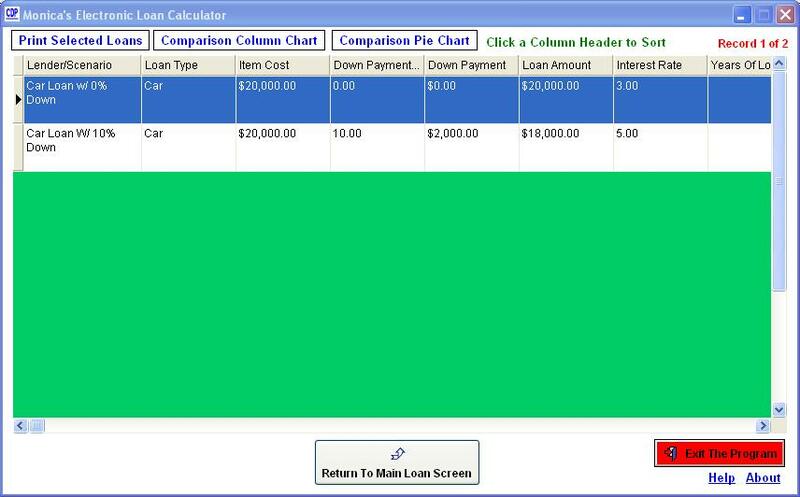 Our program can serve as your quick loan calculating solution! 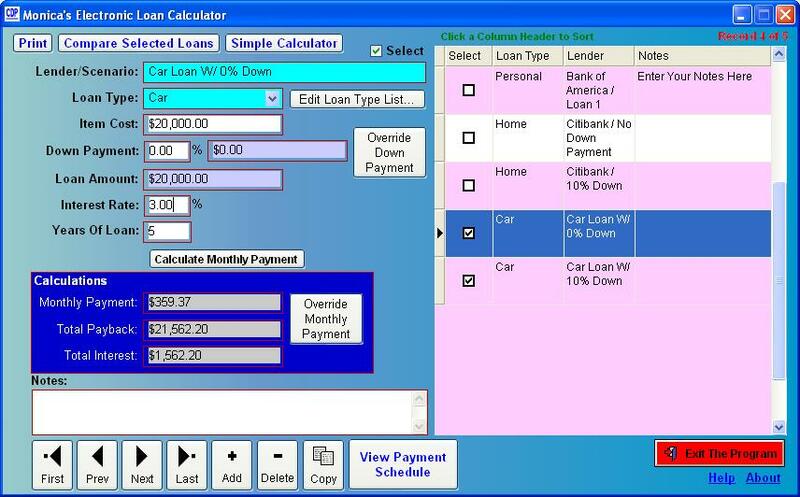 Monica's Electronic Loan Calculation program is designed to get quick answers to different loan scenarios. For example, you plan to purchase an automobile at $20,000 over 5 years and want to decide which is the best deal is for you. Is it better to take a $2,000 dollar cash back that you can put as part of the down payment at 5% interest or is it better to take 3% interest with no cash back. And of course the sales and finance people at the auto dealership are talking 100 miles an hour pushing you toward the deal that most benefits them! Monica's Electronic Loan CalculatorJ can help answer this question and many more for you! In our case, in Scenario 1 you would end up paying $339.68 a month with $2,380.80 in interest by the time you pay off the loan. 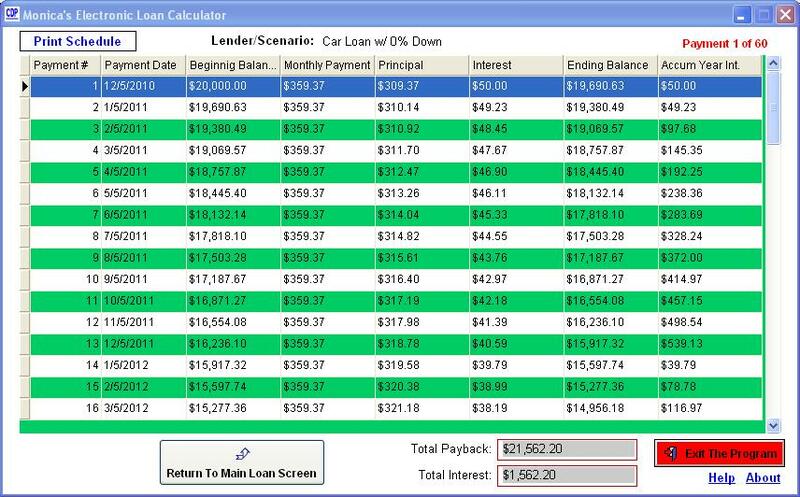 In Scenario 2, you would pay a little more a month, $359.37, with $1,562.20 interest. This is a $818.60 difference between the two plans, with Scenario 2 overall being the better savings plan in the end. 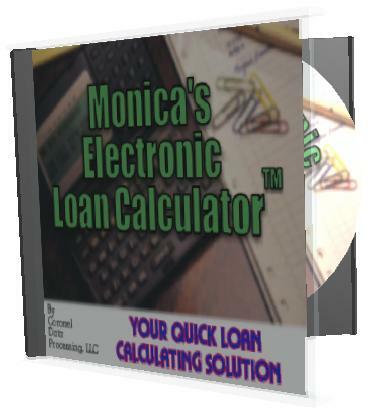 Click here to get your copy of Monica's Electronic Loan Calculator™ today and start crunching those loan numbers! By ordering on-line today, we will deliver the program to you via a download link in an email message which means you can be up and running with Monica's Electronic Loan Calculator™ within 24 hours. 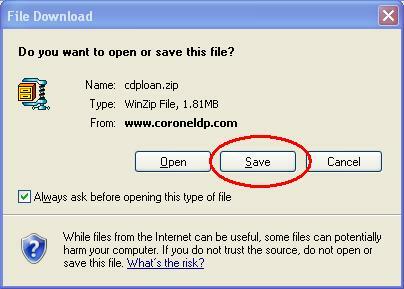 Go with the default settings and the program will be installed into a folder called C:\CDP\Loan Calculator. 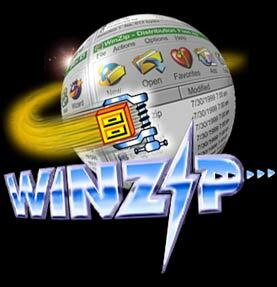 To run the program, click START-PROGRAMS-CDP-Loan Calculator or switch to the C:\CDP\Loan Calculatorfolder, and run the Loan Calculator.exe program.